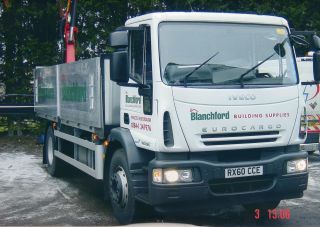 Chambers Engineering Ltd. is one of the premier, long established truck distributors & coach builders. Our reputation has been built up over 77 years of continuous trading. Today we can supply any vehicle and build any body type or chassis conversion that you can come up with. It began with Austin & Morris commercials in the 50’s, AEC then Seddon Diesels in the 60s, then Seddon Atkinson in the late 70s & finally in September 2004 we became an official parts & service dealer for Iveco. Chambers are able to offer great deals and many special offers on many fast selling parts. Chambers stock a comprehensive array of parts so that you don't have to wait, however, should you want something that is not currently in stock then they will do their best to ensure that what ever it is you want, it is there in the shortest possible time. Not only can Chambers supply and fit most items, but for operators who run their own service and maintenance teams they can deliver them to your site, often the same day. Chambers are also able to offer a guaranteed next day delivery service by teaming up with an international freight forwarder. With the vast experience gained over the last sixty years, Chambers now produce a number of re-manufactured components.